Available as a guest instructor or coach for kayaking centers, symposiums and other course providers. ACA Skills Assessments for L-3 and L-4 paddlers. Custom courses developed to help paddlers develop open-water paddling skills. 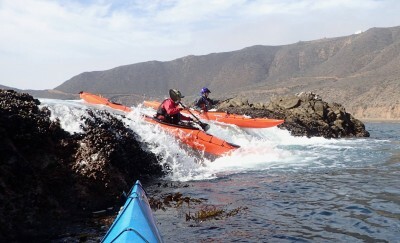 ACA coastal kayaking courses from Level 1 through Level 5. Fine tune your skills with private coaching designed to focus on exactly what you want to accomplish. Coaching ranges from half-day to multi-day sessions. I have taken classes from many instructors – somewhere between 11-13. My learning experience with you really stands out; I made more progress and in a shorter time frame as a result of your clear and methodical demonstrations, your keen observations of my attempts, and the detailed and specific feedback you provided. You were also able to break down more complex skills into smaller components which allowed me to master the bigger skill through a series of progressively harder steps. I felt equally challenged and supported. I have taken classes with many different instructors, including some of the “big” names in the business. Without a doubt Tom’s teaching style, patience and skill have had the biggest effect on my progress as a paddler. Tom is an expert paddler who teaches in a very approachable and carrying manner. He makes learning basic strokes and kayaking fun and enjoyable and he formats classes to ensure that learning occurs easily. 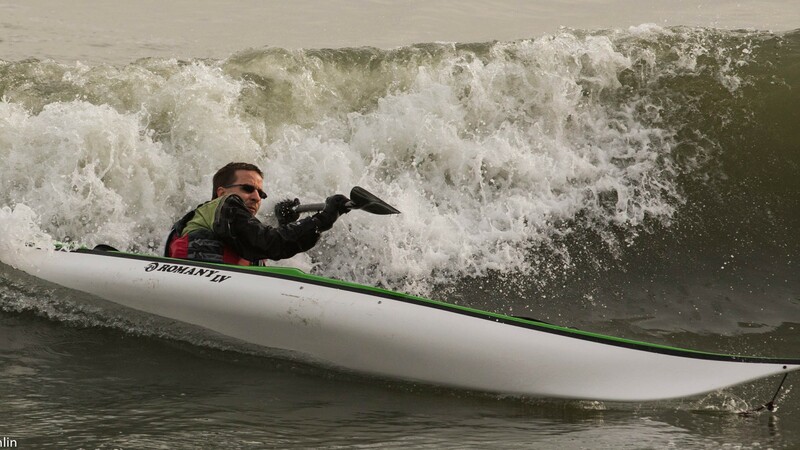 Tom particularly excels in helping you take the basic kayaking skills to the next level. He has a through understanding of nuances of using the body, the paddle position, and boat edging to be a more effective kayaker. He has a great eye for spotting what can help an individuals stroke and then layering these opportunities into making a significant difference. Tom is gifted with a great combination of personality, knowledge, and incredible kayak skills, AND he is an outstanding educator. His enthusiasm for being in a sea kayak on the ocean is infectious. Tom doesn’t say too much when coaching, but when he does you get it right away. I immediately felt that he was working for me to reach full potential. I was in a class with Tom at Matanzas inlet (FL) two weeks ago. He told me one thing to do – one thing – and it made all the difference in the world in my ability to surf.